Handmade watercolor illustrations on paper for international exhibitions. I took part of the 2015 Oil & Ink Expo. 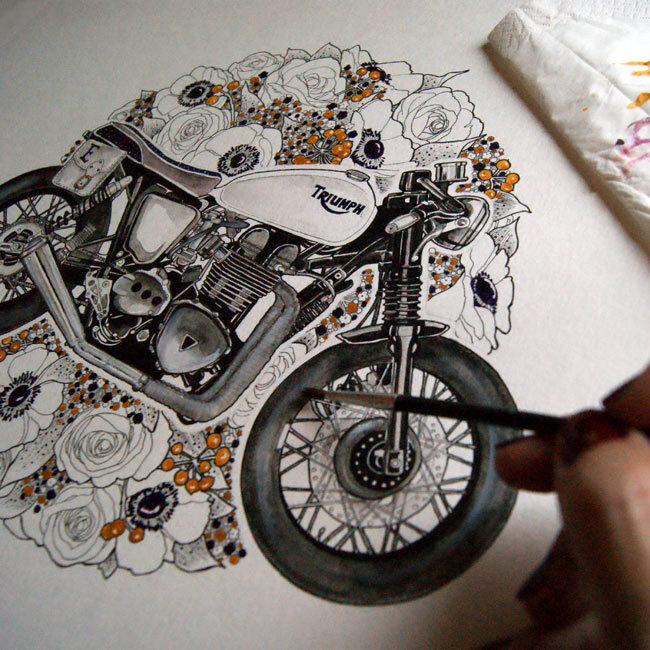 You can purchase "Honda CB 550" as a print here.